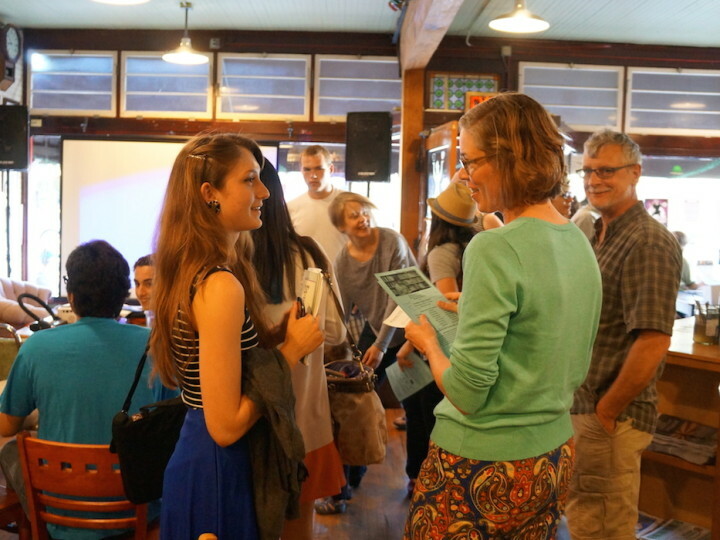 Wednesday night, Franklin High School students and their families crowded into Bipartisan Café for a presentation of work produced during Jonathan Hill and Lee Montgomery’s writing residencies. The residencies, made possible by Writers in The Schools, a program of Literary Arts, in collaboration with participating teachers, the Principal Shay James, and WITS liaison Sandra Childs, give students the opportunity to work closely with local professional writers. Over the course of a semester, students learn about different elements of craft, experiment with form in in-class exercises and practice revision techniques. 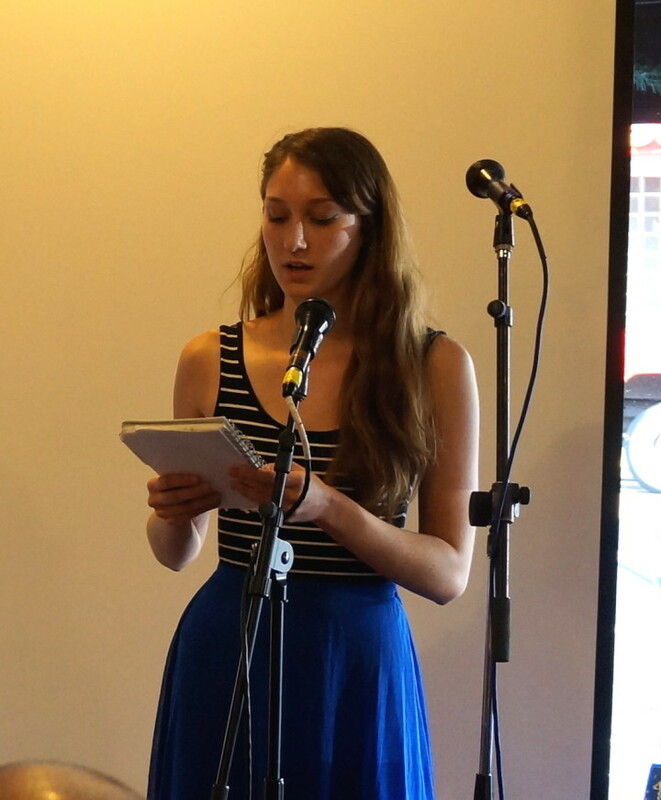 The writers-in-residence also encourage students to perform their writing. Thus, at 7:00 p.m., among the smells of chai and marionberry pie, the event began. Students read poetry, excerpts of fiction and graphics/cartoons about soccer games, comets crashing down to earth, family, war, and pirates—to name a few. 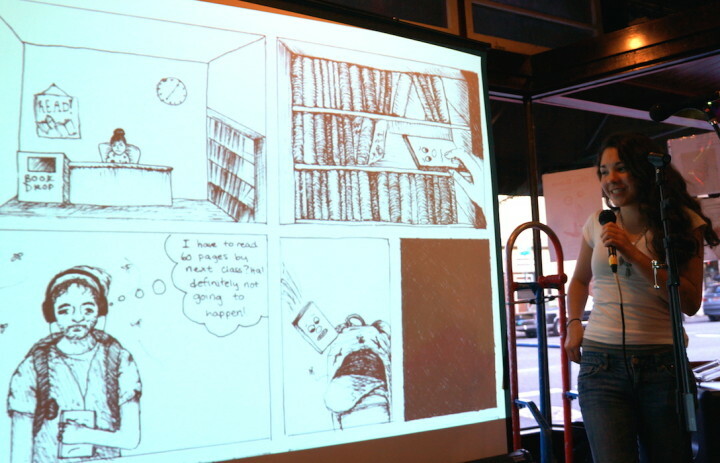 Hill projected the students’ drawings as they narrated at the mic. Some presented their in-class exercises; one of which asked the students to add more panels, another put constraints on their use of time. A few showed before and after drafts, illuminating their process and the importance of revision. All in all, the quality of writing and artwork spoke to the conjoined effort between budding writer and their writer-in-residence. 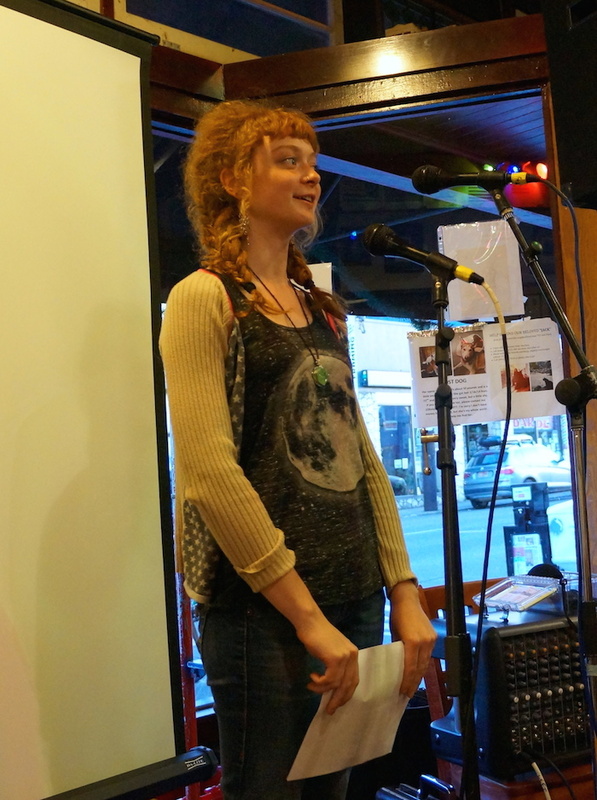 Both Montgomery and Hill read some of their own work alongside their students. 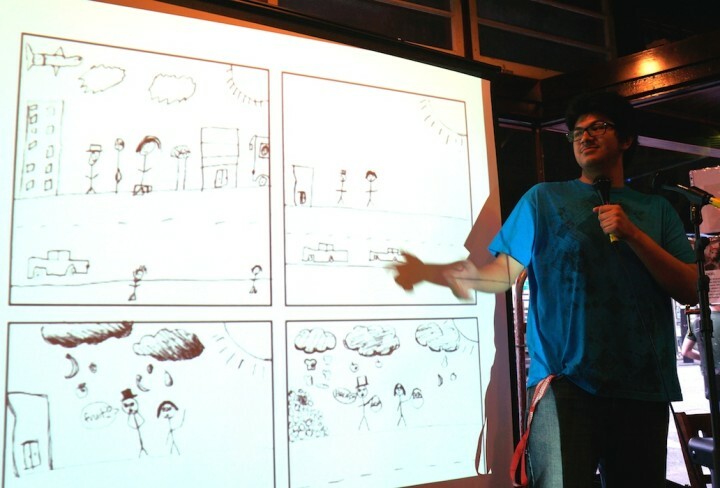 Hill, a published cartoonist and illustrator who also teaches comics classes at the Oregon College of Art and Craft, presented an excerpt of a new piece about a lost scoop of ice cream which got a lot of laughs from the audience. 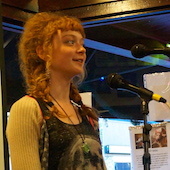 Montgomery, an author of three books, Oregon Book Award finalist and former editor, read an excerpt of a short fiction story published in Glimmertrain. 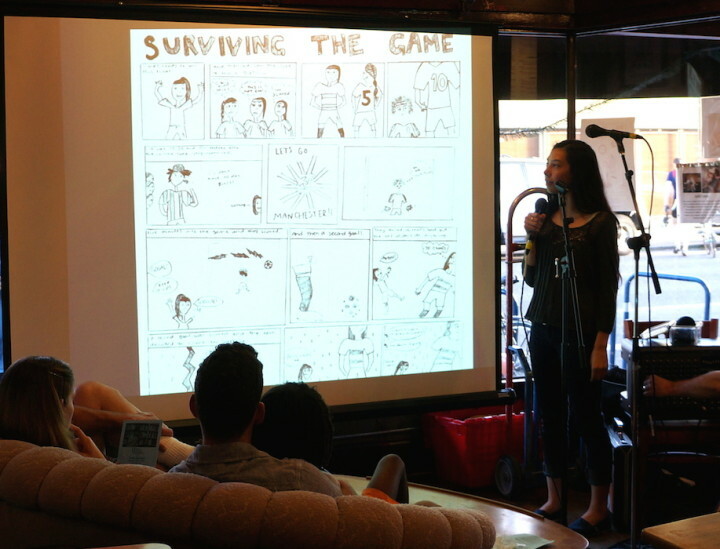 After the event, the students said they enjoyed reading and also, getting to hear (and see) their teachers’ work. 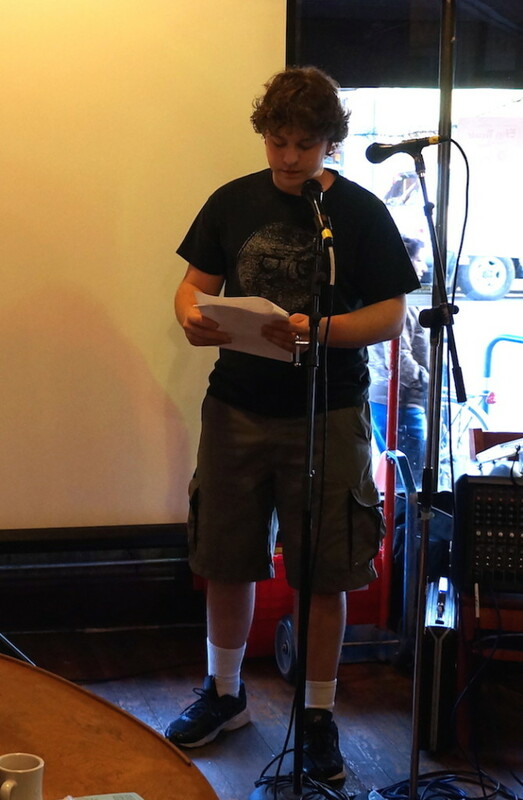 Special thanks to Bipartisan Café for hosting the event, our writers-in-residence, participating teachers, our WITS Liaison, Principal James, and the student readers. WITS is looking forward to publishing student work in the annual anthology!